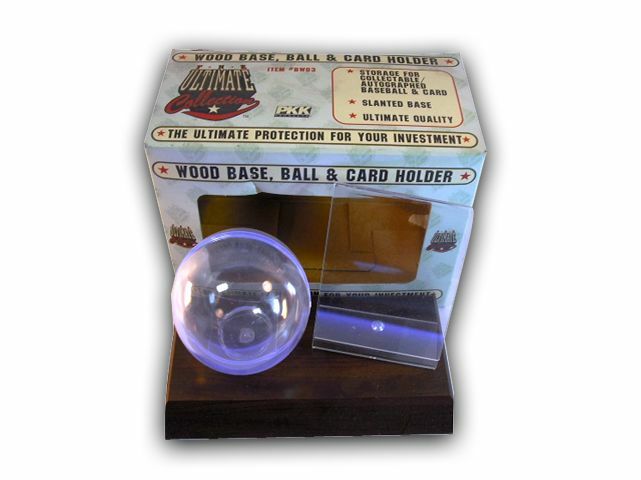 Baseball card holders are containers designed to protect baseball cards from the kind of wear and tear which will reduce their value. They also help a collector transport and store their baseball cards. 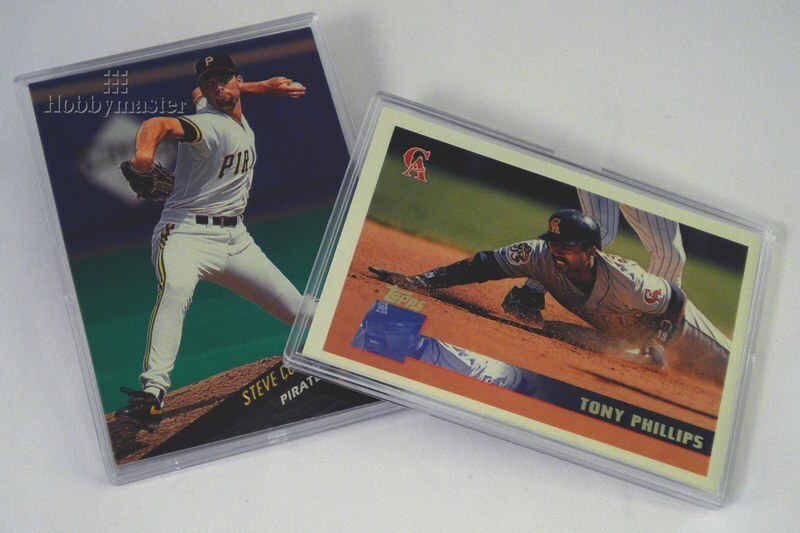 Here are some examples of baseball card holders. These individual card holders feature magnetic closures and special diamond shaped corners that prevent damage to the corners of the cards they house. There should be no PVC or acid in a mini snap case. They should also feature a UV coating or UV absorber which blocks harmful light rays and prevents the cards from fading. The price of a mini snap case depends on its thickness, but should run between about fifty cents and a dollar each if you buy them in large batches. Mini Snap cases are good for fairly valuable (less than $250) cards. One piece hard plastic card holders in which you slide the card in through the top. Because of this precarious movement and the threat it can pose to the cards corners they aren’t as safe to use as a mini snap case. However they should be cheaper, at about fifteen cents each if you buy in bulk. 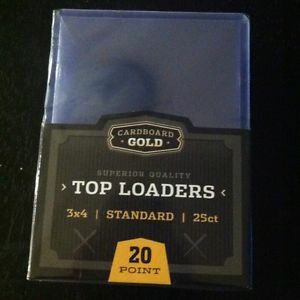 The gold standard in individual baseball card holders. 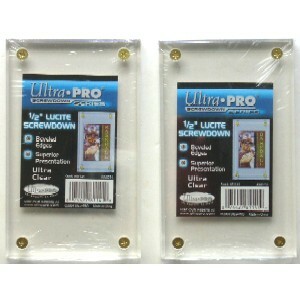 They come in either lucite or acrylic and in either one screw or four screw design and should feature UV protection. The most solidly built screwdown case is going to be a four screw lucite model. These should cost about six dollars a pop. That’s a lot to pay for a single card holder, but if you have a card worth more than a couple hundred bucks and you want to maintain its high PSA grade you’re going to want to get it in a screwdown holder and quick. 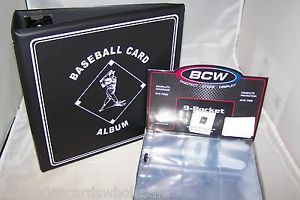 Binders and pages have always been a popular way to hold and display baseball card. The binder doesn’t have to be baseball card specific, it just has to have the classic three rings. The pages are made from polypropylene and feature either eight or nine card slots. (Eight for certain sets of older cards.) Binders and pages are probably not the best place to store a card of much value, but instead a fun way to look at your favorites which won’t one day be financing your unborn child’s college tuition. A lot of hundred binder pages should run about fifteen dollars. These are just big old cardboard storage boxes for baseball cards. They come in all sorts of different sizes — from a fairly square box that will fit about two hundred cards, to long thin boxes that’ll encase up to a thousand. They are typically shipped flat so you have to assemble them. They run between fifty cents and a dollar a box, depending on the size. 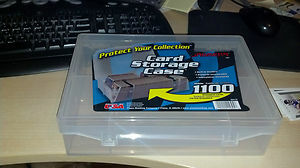 Storage boxes should only be used to store common cards. 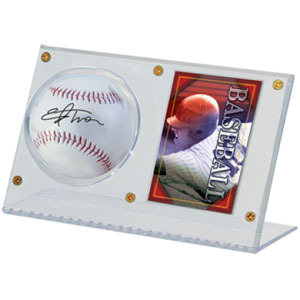 Sort of a mix between binder pages and screw downs, these picture frame-like baseball card holders allow you to show off your favorite cards without risk of lowering their PSA rating. They range in size from frames that hold one card to those that can hold nine. The are priced according to size with the bigger size topping out at around twenty-five bucks.